VI-MxMount is the dedicated software tool for ADAMS-based hydro and rubber mount design developed by MDynamiX. 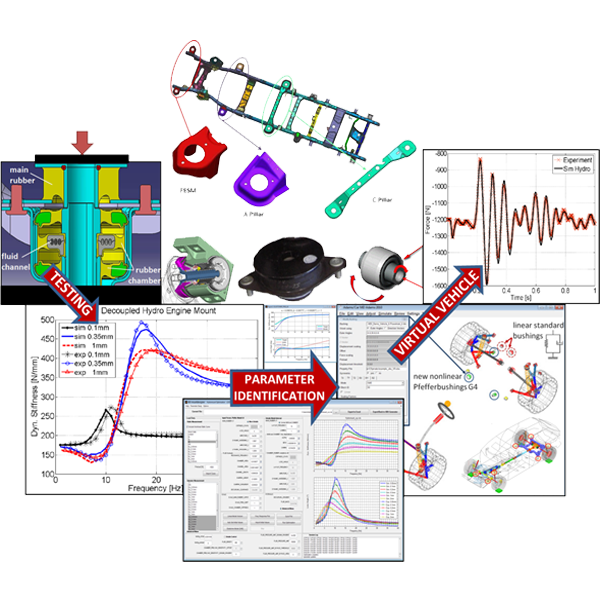 VI-MXmountdesigner is a tool to design or derive model parameters from test data for high-end hydro and rubber mount models capturing the amplitude and frequency dependent behaviour. VI-MXmount provides the plugin to integrate these components into ADAMS and other platforms.